All lead vocals by Kjetil, Mariangela and Ole were recorded by Christer in his studio at Grünerløkka, Oslo. The extreme vocals by yours truly and backing vocals/harmony voices were recorded in a separate studio in the outskirts of Oslo a few weeks later. 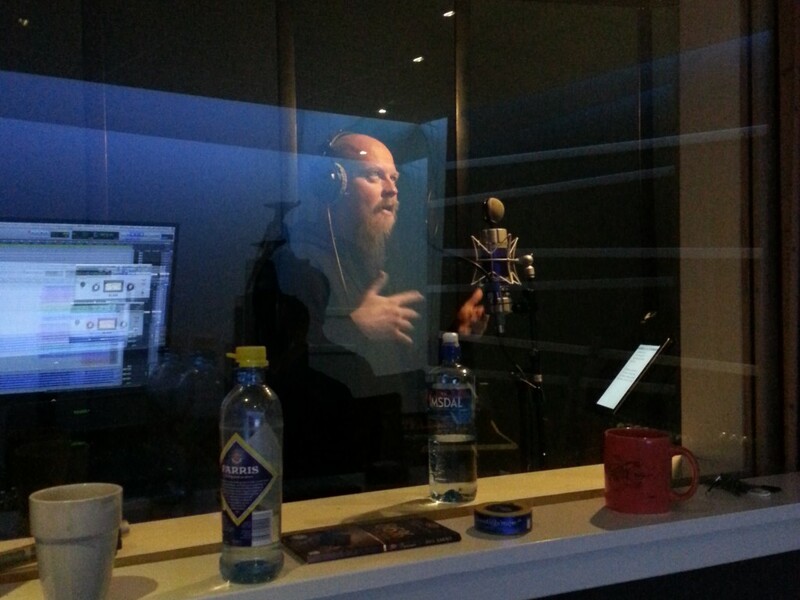 Recording vocals is maybe Christer’s most important contribution on this album, except for the mix. Christer is simply amazing when it comes to pushing the singers to extraordinary levels, and I personally think that both Mariangela, Kjetil and Ole have done their best vocal performances to date with this album. Christer is the kind of guy who asks for another ten takes when everyone else is satisfied. Despite intense recording sessions and hard work, both Kjetil and Mariangela were equally enthusiastic about recording with Christer and the final result. He has a unique knack for getting the best out of each singer, and holds musical and psychological skills other producers should envy him. A digression: I’ve been a fan of Anathema since the very beginning, and I’m fond of all eras of the band’s proud history. With fascination I’ve noticed how Vincent’s vocals have grown better and better during the years. I’ve always fancied his singing, but noticed that his vocal performance on their latest album was the best recorded vocals he’s ever done. In the wake of our own album recording I understand how important Christer probably has been for Vincent’s amazing development of vocal qualities. I think both Kjetil and Mariangela did a great job on our previous album, Rubicon. Personally, I hold Protection (Mariangela) and Illumination (Kjetil) as their greatest moments on that album. However, both of them said after the Rubicon-recordings that even though they were happy with the result, neither of them felt that they had managed to release their full potential as singers. Rubicon was the first Tristania album for both of Mariangela and Kjetil, and I believe the extensive touring we’ve done since the recording of that album has made both of them more confident in their roles as Tristania singers. Darkest White is the first Tristania album where also Ole is doing lead vocals. It shouldn’t be a surprise to anyone that he’s in possession of great vocal skills, as he is doing quite a lot of backing vocals both live, as well as on the last album. Ole is doing the lead vocals in the chorus of Lavender and in parts of Diagnosis and Arteries. While we’re on the subject of vocals I think it’s essential to mention the lyrics of this album. I personally think Tarald wrote some brilliant lyrics on the last album; Magical Fix being my absolute favorite. This time around he ended up writing lyrics for the entire album. We have usually had different people in the band contributing with lyrics on our albums, but Østen was the main lyricist on the four albums from World of Glass to Rubicon. I’ve always liked Østen’s poetry, but with this album Tarald stepped up and took on his role. I think he really shines as a magnificent lyricist. He has a special way with words, and writes in an almost playful and sometimes ambiguous way. I think Tarald always has been writing, but the amount of quality lyrics he has written the last couple of years is remarkable. I think he ended up producing more than fifty lyrics in the period between Rubicon and Darkest White. The ten which ended up on the album are among the best Tristania lyrics to date, in my opinion. The very last recording sessions for this album took place in a studio located in a barn outside of Oslo in the beginning of February. Ole, Kjetil, Tarald and myself spent an exhausting weekend there – recording all harmonies, backing- and effect vocals (Mariangela had already recorded her additional vocals with Christer). We also did most of the growling this weekend (Darkest White and Requiem were recorded in Christer’s studio at night after Mariangela’s and Kjetil’s sessions). It was a hectic finale of the recordings – working day and night in order to be finished until Christer would start to mix the album. 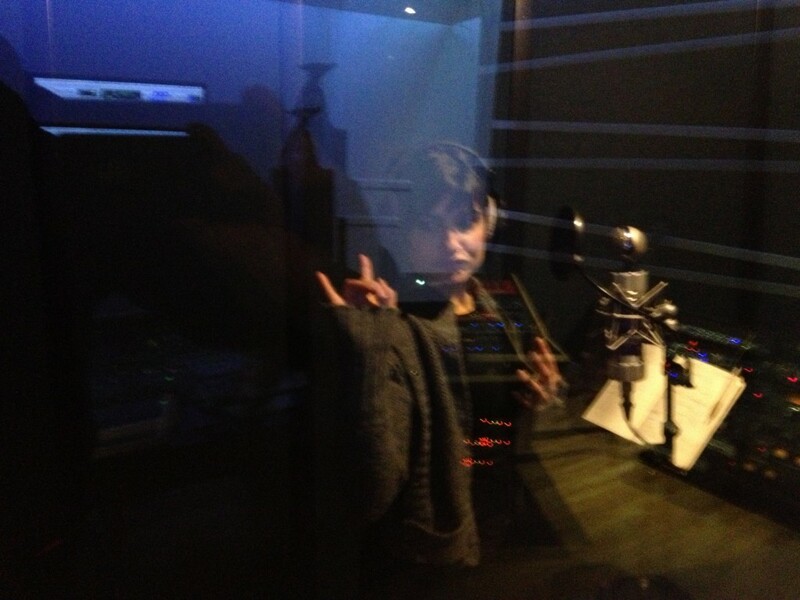 On the last day we ended up recording nonstop from Sunday 10am to 5am Monday morning. I remember the feeling very well: Dead tired and completely worn out on the first train to Oslo Monday morning; trying to grasp the fact that we were done with the recordings for this album. This entry was posted in News and tagged Christer André Cederberg, darkest white, kjetil, mariangela, ole, vocals. Bookmark the permalink. Anders: is really great how you explain everyhing with every little detail. Looking forward to listening to the new album and hoping you come back to Argentina. On 14th May will have passed 5 years since your one and only, unique visit. Congratulations to everyone involved in the recording process! waoo quisiera escucharlo ya. Felicitaciones a todo el equipo de Tristania , estoy segura que este CD tmabién será excelente, magnífico como todos los trabajos de Tristania desde el EP pasando por todos.